Apple has finally level-up its supply of top case assemblies with built-in batteries that was manufactured late 2012 and Early 2013 models of the 15-inch MacBook Pro with Retina display. The system was designed with a top, cased in aluminum enclosure that houses the keyboard, keypad, and speaker grilles on a MacBook Pro. 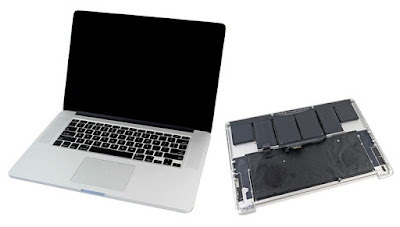 For the two Macbook models, the battery is permanently to the underside of the top case with strong adhesive, meaning the entire assembly needs to be swapped out when it comes to battery replacement. Apple is “no longer offering free, delayed repairs” to customers with new service orders, according to its internal memo distributed to Apple Stores and Apple Authorized Service Providers recently. Instead, Apple has resumed charging its standard out-of-warranty fee for all 15-inch MacBook Pro battery replacements, which is $199 in the United States. The fee is waived if the notebook is covered by an AppleCare+ plan. Every Apple, customers having 2012 or Early 2013 model 15-inch MacBook Pro who are in need of a new battery should be able to pay for the service without significant delays or other issues going forward. ← Say GoodBye To Wifi Dead Zones With Google Wifi New Features.